Renting your textbooks is an excellent way of keeping your overall course materials costs down. A rented textbook can save you up to 40% of the price of a new copy. Please visit our store for all rentals1. Books available for rent will have a sign on the shelf. No sign means that the book is not available for rent. There are limited numbers of books available for rent. If you find an eligible book, grab a copy and go to the Textbook Rental Desk (see in-store signs). Carefully read, fill-out and sign a rental agreement. You must have a valid McGill student ID card as well as a picture ID to rent a textbook. Once your agreement and books are verified at the Textbook Rental Desk, you can proceed to the cash with your books and other purchases. The cashier will process your transaction. Sign the cash receipt (which is also the rental agreement). Return the book to the bookstore before the due date (which appears on your receipt). You will receive a reminder email when the book is due back. Please keep in mind that late returns will not be accepted under any circumstances. You can download a copy of the rental agreement HERE. Review and sign it before arriving at the store to help speed up the process. Any questions you may have can be answered by the staff at the Textbook Rental Desk. NB: Vous pouvez télécharger le contrat de location en français ICI. 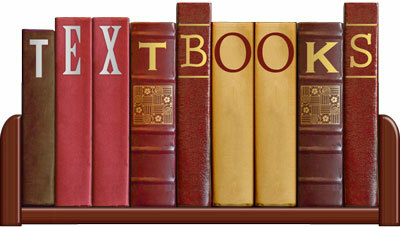 NOTE: 1 Textbook rentals are only available in-store and are not currently available via our Web store.